Have you ever thought of Australian Immigration? 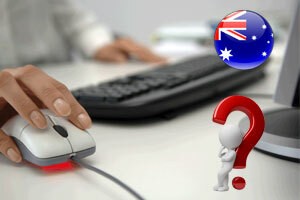 If yes, the question that buzzes in your mind is how to get an Australian work visa. Here, you can find the process of obtaining an Australian work visa for the successful visa process. Seeking an opportunity in the land of Kangaroos has become easy nowadays. An increasing number of overseas individuals prefer to migrate to Australia for enhanced future. Australia is a great place to stay and work, as it offers high-quality lifestyle and better job opportunities. By finding Work in Australia, individuals can experience a high standard of life and supreme future opportunities. However, an overseas national must obtain Australia Work Visas to work in Australia. Australian laws offer all employees the basic privileges and protection in the workplace. People from various countries migrate to Australia for the employment either on temporary grounds or permanently. The Department of Immigration and Border Protection (DIBP) offers various types of Australian work visas for the foreign nationals, which are categorised based on the temporary and permanent grounds. Some of the major Australia Work Visas are given below. 457 Work visa is a renowned visa among employees. This visa is basically a short term visa enables the employers of the Australia to sponsor the overseas individuals. Individuals under this Australia Work Visa individuals can stay up to 4 years and can bring their family members to Australia. Australia Skilled Independent Visa is a permanent resident visa designed for overseas skilled employees to reside and work in Australian permanently. Under this Australia Work Visa, individuals are permitted to travel and enter Australia for five years from the date of a visa issue. Immigration to Australia under this visa category is an Australia Skilled Immigration that follows a point’s based system. Australia working holiday visa is a permit is valid only for some specified nations. This Australian work visa is a short term visa designed for individuals aged between 18 to 30 years, who are interested in a working holiday of a maximum of 12 months in Australia. This visa enables individuals to reside and work in a particular regional area of the nation for four years. Australia Skilled Regional visa is points based system where an applicant needs to score a minimum of 60 points to migrate to Australia. Applicants must initially summit EOI followed by invitation to apply. Australia Employer Nomination Scheme (ENS) is not points based system. ENS program enables employers to sponsor overseas employees for a permanent visa to work in Australia. These are the some of the Australian work visas for Indians and other country nationals. However, to obtain any these visas, applicants need to meet the necessary Australian work visa requirements. Each visa has own requirements. I have completed my Bachelor of Computer Application so can I apply for work visa? Tq so much, I just found your blog while surfing Work Visa For Australia.